With 2015 creeping close, I decided to get a jump start on one of my many New Year's resolutions... procrastinate less (resolution #3 of... ahh I've already lost count)! This year, instead of cobbling an outfit together night-, I've partnered with Serene Sky Boutique to bring you this glam New Year's eve look. This Black Asymmetrical Dress is (surprisingly) comfy, edgy perfection. Pair it with a few pops of color, grab a moto jacket and red lippy, and you're ready to take on the New Year! The bloggers of #PMHQ are at it again! 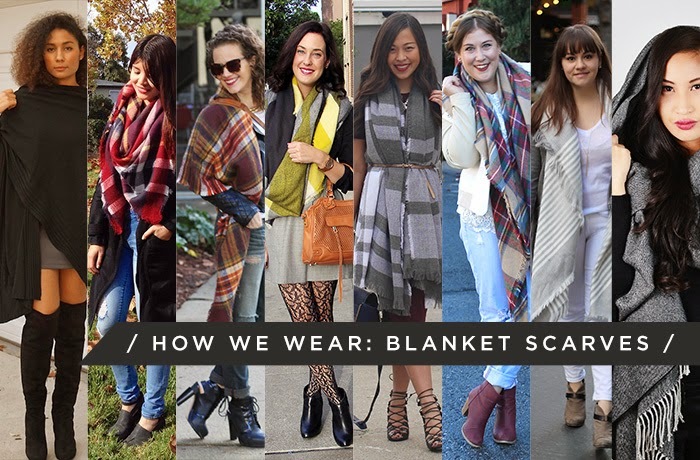 This time, our style challenge was blanket scarves. Love how each of us puts our own unique spin on this cozy fall staple. 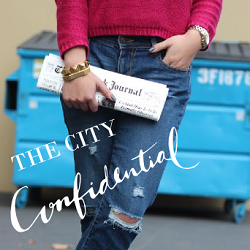 Join our link up below and show us how you style yours!